Mitchell Prime Properties, a luxury real estate broker based in Winston-Salem, is opening offices in Davidson at 707 Peninsula Drive. It’s one sign that the luxury market around Lake Norman is getting more competitive and more recognition across the Carolinas. “Charlotte’s huge presence in the banking sector and proximity to a genuine international airport is seen as a major asset for our clients,” says Barry Pulver, the lead agent at Mitchell Prime. The company already has a luxury listing: 4000 Channel Point Lane in Denver, priced at $2.58 million. 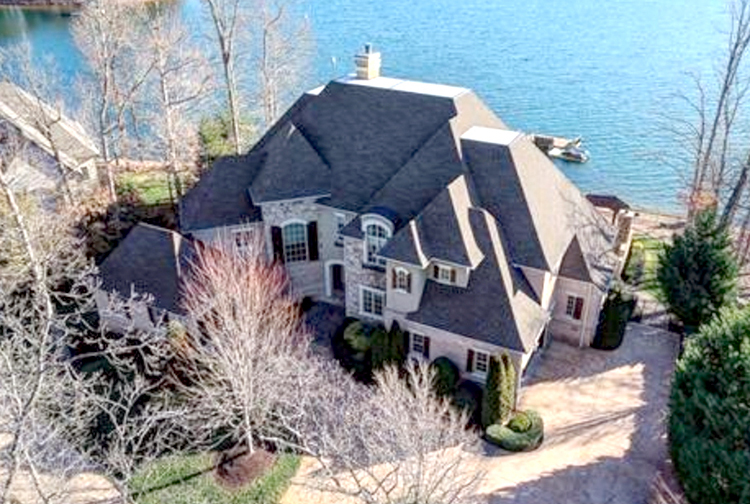 The four-bedroom, five full bath lakefront home at 4000 Channel Point Lane has 6,656 square feet of heated living areas with great views of Lake Norman. 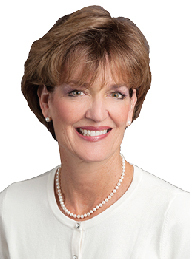 Premier Sotheby’s International Realty, which has an office in Jetton Village in Cornelius, reports total sales volume of $4.1 billion in 2017, with an average sales price of $685,725. The company the No. 35 real estate firm in the U.S. based on sales volume. Significant 2017 sales include a $2.25 million estate—complete with gun range, home theater and eight-car garage—at 9044 Island Point Road in Terrell. Left to right, front row: Abigail Jennings, Gail Huss, Nancy Hucks, Debbie Monroe, Jane Getsinger; back row: Devon Stamey, Rose Cramer, Faye Maloney, Ty Chapman, and Shantae Brown. 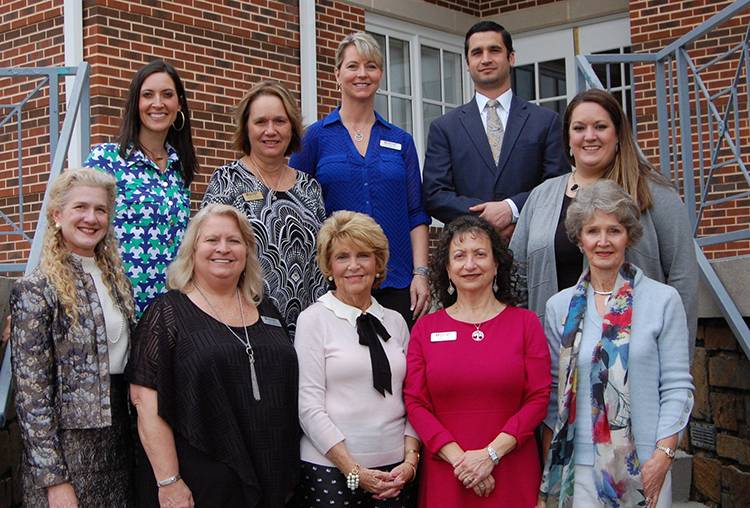 Lake Norman Realty held its 2017 Awards Breakfast and kick-off to its 40th anniversary year at River Run Country Club in March. 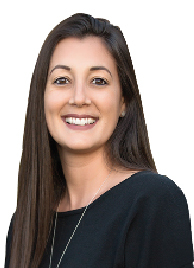 Abigail Jennings, president, said 2017 was the best year in the firm’s history with overall sales growth exceeding 13 percent. The property management, vacation rentals, commercial, and relocation departments each had record-breaking growth in 2017.
been a solo operation until now. Dean’s career sales are in excess of $175 million. Dean just listed and sold one of the highest priced listings in The Peninsula, a lakefront home at 18806 Halyard Pointe Lane. The 6,762-square foot Low Country style home closed at $1.82 million, having been listed at $1.875 million less than a month before.